The Big Island of Hawaii is one of our favorite places to visit, so it was heartbreaking to watch the eruption of the Kilauea volcano on the news. Over the years, we’ve camped on the Big Island, as well as stayed in the beachfront resorts on the Kohala Coast. This month Big Island officials asked state lawmakers for $155 million to fund repairs and losses due to the Kilauea eruption; hundreds of people have been displaced. But business is getting back to normal, and the mood is optimistic. 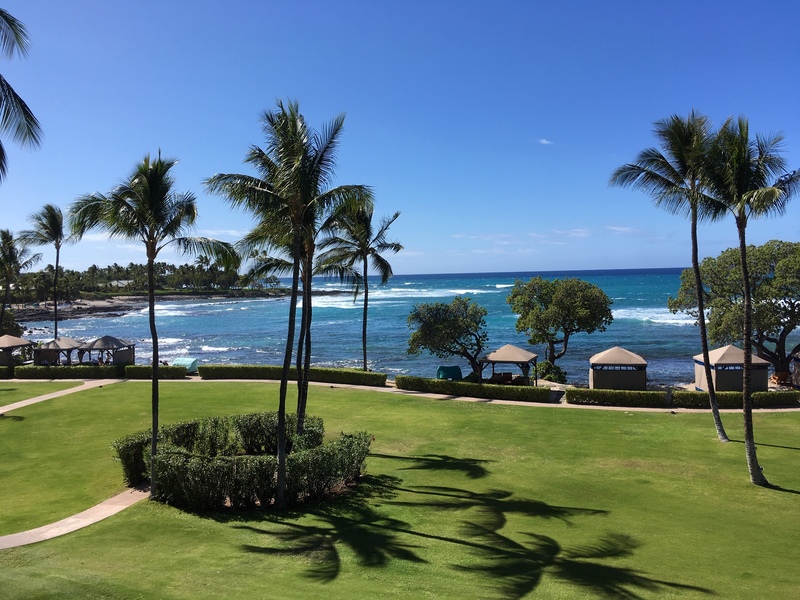 The hotels on the Kohala Coast are filling up this week, thanks in part to January holidays, and big snowstorms in the Northeast and Upper Midwest. This week’s temporary end to the government shutdown also is being met with relief at Volcano National Park and other attractions. Later this year, Southwest Airlines will begin flights from the mainland to Hawaii, including the Big Island. Kona airport shows visible signs of preparing for the new flights, and it will lead to a bump in tourism. At the same time Kona airport, which handles about 10 percent of Hawaii’s air traffic, has embarked on a multimillion-dollar terminal modernization program. Twin-engine jets can safely fly over 3,000 miles to Hawaii now, but you still get off the plane on stairs and walk across the tarmac — instead of using a jetway. Next week ride-shares such as Uber and Lyft will begin serving Kona and Hilo airports, along with the neighboring islands. Honolulu has allowed the ride-hailing services since December 2017. We’re staying on the Kohala Coast, and the weather is picture perfect, with a tropical breeze. I’m updating Sierra Foothills Report on our lanai at the Fairmont Orchid, with a killer ocean view (see photo). We’ve been sunning, swimming and enjoying local fare, such as papayas for breakfast and fresh fish at dinner. Catching up with the news at home it seems little has changed on some fronts. I’m reminded of a former co-worker’s observation: “The politics are so nasty because the stakes are so small.” We’re becoming more “purple” in our politics, however. This threatens some locals. We’re thrilled about the new small businesses that are springing up at home (our son enjoyed his Christmas gift certificate for “His: A Gentleman’s Sundry” on Mill Street). We’re also excited about the multimillion-dollar renovation of the Center of the Arts. This spring we’re donating our time to help the Center publish a slick publication promoting the project. All told, the New Year is getting off to a fresh and exciting start. Aloha!